Kerry Evers was always concerned that, due to a family history of the disease, cancer could be in her future. Her grandmother, father, uncle, and several of her cousins had been treated for different cancers throughout the course of her life. But Evers’ clearest indication of her chances of developing cancer resulted from learning her family had a lesser known genetic predisposition to cancer called Lynch syndrome. A common and underdiagnosed inherited genetic condition, Lynch syndrome increases one’s risk for a variety of cancers, including colon, rectal, uterine, ovarian, urinary tract, and others. Individuals with a mutation in one of five known Lynch syndrome genes are carriers of the disease. When Evers’ cousin with colon cancer learned he had inherited a mutation in one of these genes (MLH1), he recommended everyone in the family undergo genetic testing. After testing, Evers confirmed that she too had the MLH1 gene mutation. Medical professionals near her Rhode Island home knew little about Lynch syndrome, so she was referred to specialists at Dana-Farber well-versed in the condition. A decade later, Evers still does not have cancer—but thanks to ongoing care from her team, now situated within the new Lynch Syndrome Center at Dana-Farber, she has peace of mind. She understands her situation, and her options. 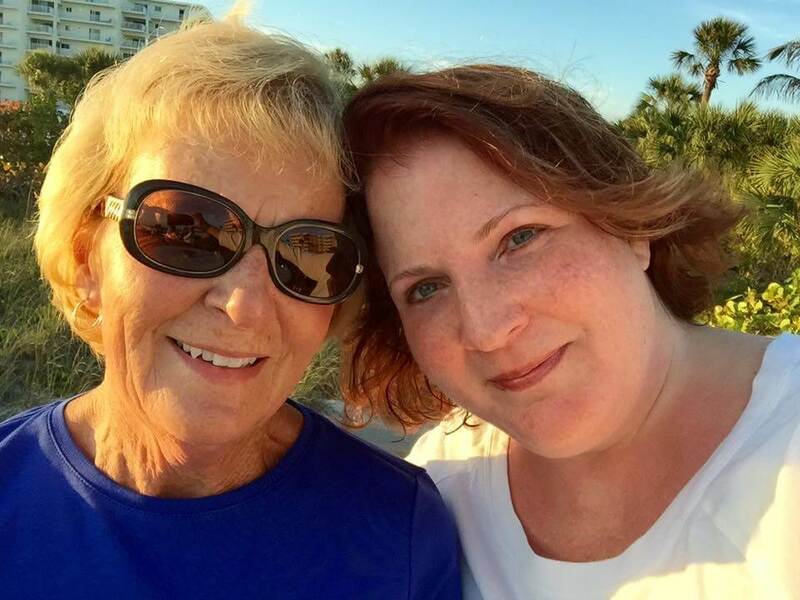 Kerry Evers (right) with her mother, Marybeth. As part of Dana-Farber’s Division of Cancer Genetics and Prevention, the Lynch Syndrome Center is the first comprehensive, multidisciplinary center dedicated specifically to the evaluation and care of Lynch syndrome patients. Center physicians provide personalized, comprehensive preventive care for families, supported by robust research and diagnostics. Learn more about the Lynch Syndrome Center at Dana-Farber Cancer Institute. Sapna Syngal, MD, MPH, founder of the Lynch Syndrome Center, has been treating Evers for close to a decade. She says this personalized, long-term care for individuals and families will be a major focus of the Center, along with educating the public about cancer risk associated with Lynch syndrome. About one million people in the United States (or 1 in 300) have the disorder, and most have never heard of it. By offering clinical trials to Lynch syndrome patients, the center also hopes to learn more about the five Lynch syndrome genes and other potential genetic causes. Using research findings from hundreds of families, Dana-Farber physician-scientists are already working with colleagues nationwide on initiatives including specialized pancreatic and prostate cancer screenings for individuals with Lynch syndrome. In the meantime, Lynch syndrome patients like Evers will continue finding comfort—and community—at the center. My mother-in-law inherited Lynch Syndrome from her father who died from colon cancer. My mother-in-law had colon cancer at 48 and a brain tumor at 60. My husband had colon cancer twice and passed from a brain tumor at 67. My son has Lynch and has had colon and small intestinal cancer. He is 49 years old. I am so excited to hear about the research and care that Dana Farber is putting in on behalf of Lynch Syndrome patients! i have Lynch syndrome and had colon cancer at 26, ovarian and endometrial cancer at 31 and breast cancer about five years ago. i realize that the breast cancer is not related to Lynch. Currently i am 77. it would be nice to know if there are doctors in the Seattle area that are involved in Lynch Syndrome studies. Both of my parents died from cancer but none of my siblings are affected though one of my sisters has the gene and the other does not. Neither of my brothers chose to be tested.